I recently had a case of shiny object syndrome. It’s a condition that myself and many other hobbyists suffer from. The evidence lies in the multitude of unfinished projects I have going on at once. My most recent distraction is Infinity the Game. It’s a science fiction style game with an anime feel. The models are fantastic and the game seems to be pretty fun. 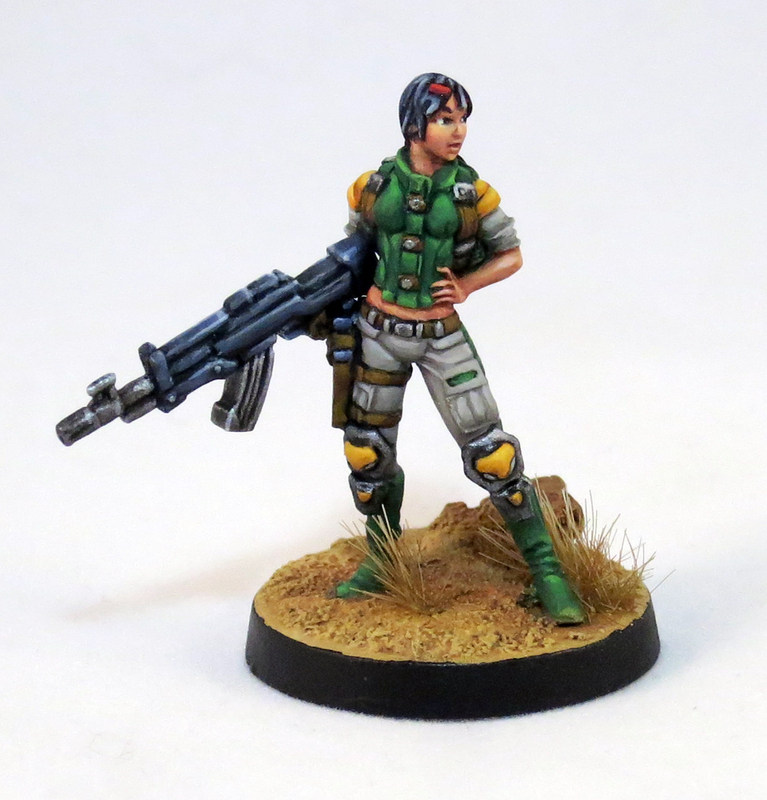 This Gulam infantry member is my second prototype for color palette, the first was pretty, meh. The color scheme inspired by Boba Fett. I’m really digging it and am looking forward to finishing up some more stuff from this line. Aside from this I’m also working on Super Dungeon Explore, Hordes: Minions, and a vinyl toy that a friend made. Ugh, so many models so little time. Monty, out! 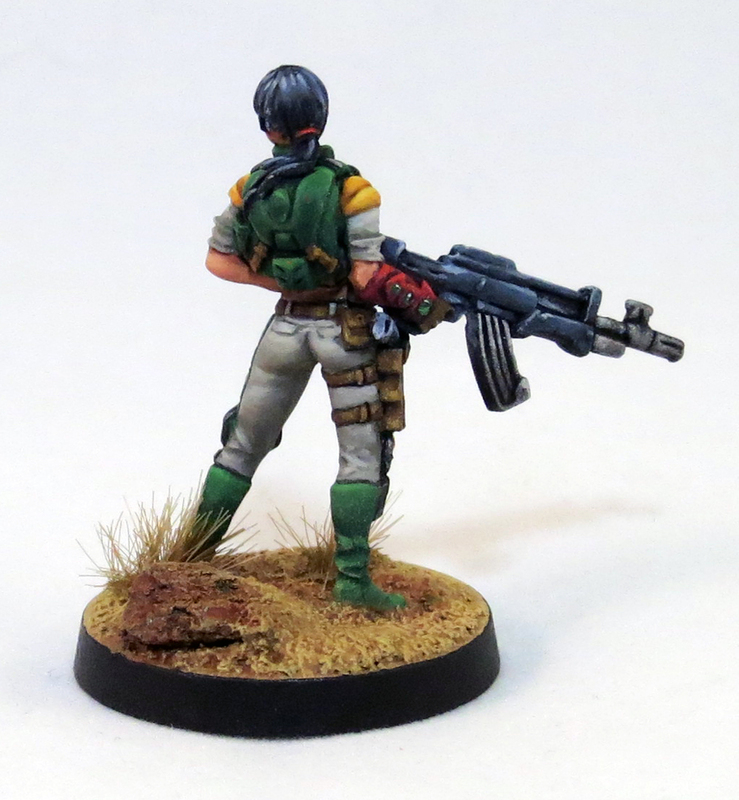 This entry was posted in Miniature Painting and tagged Art, boba fett, Gulam, Haqqislam, Infinity, Infinity the Game, Miniature Painting, Painting, Table Top by osographic. Bookmark the permalink.